The slogan is 'America runs on Dunkin'.' But soon America can run in Dunkin'. The doughnut shop has partnered with Saucony to create special edition running shoes. The Kinarvara 9 shoes have Dunkin' Donuts' colors as well as sprinkles. 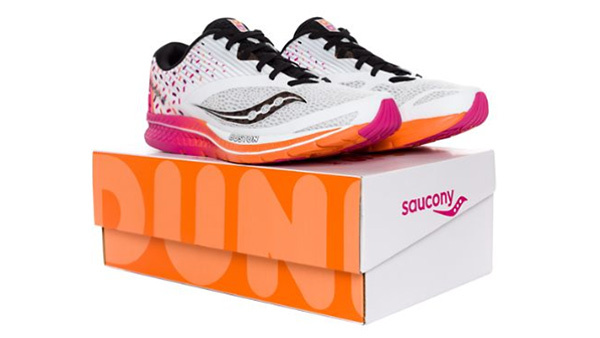 "Our limited edition collaboration with Dunkin', celebrating the symbiotic relationship between coffee, running and donuts," the Saucony website says. The sneakers are a salute to the Boston Marathon, as both companies are from Massachusetts. Only 2,000 pairs will be made. They are available for pre-order on Saucony.com, but supplies are running out fast.